The theme of the 2016 ITS Biennial Conference, to be held at the Regent Taipei Hotel, June 26-29, 2016, is Interconnecting Everything: Harnessing Business, Policy and Smart Societies. The Conference will be hosted by four leading universities and institutes: Yuan Ze University, National Chengchi University, Shih Hsin University and the Taiwan Communications Society. Individuals interested in presenting a paper at the 2016 ITS Biennial Conference are reminded that the last day for submitting abstracts is January 10, 2016. 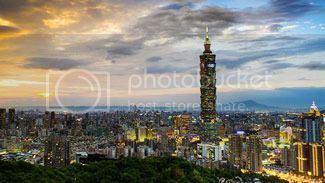 Detailed guidelines for abstract submission are available on the main Conference web site at http://www.its2016taiwan.com. Outstanding papers will be considered for publication in an edited book or special issue of Telecommunications Policy. 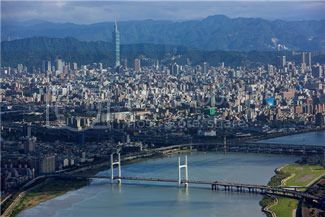 The Conference will be held at the Regent Taipei, located in the heart of the city’s most vital financial, shopping, entertainment and cultural districts. The Hotel is 45 minutes from Taoyuan International Airport, 15 minutes from Taipei Song Shan Airport, and just a five-minute walk from Chung Shan MRT station. At the Hotel’s doorstep is access to a multitude of buses, which provide easy access to all of Taipei’s hot spots and tourist attractions including art museums, bustling night markets, and more. The local organizer will provide pre- and post-conference tours to a number of special tourist attractions. Lunches and dinners will also be provided at attractive hotels. The 10th ITS Ph.D. Seminar will be held on June 29, 2016 immediately following the close of the 21st ITS Biennial Conference in Taipei. Access to the Biennial Conference will be free of charge for Ph.D. Seminar participants. As with all prior ITS Ph.D. seminars, the objective of the 2016 event is to share the valuable expertise in the information, communications, and technology sectors represented by leading academics, industry experts and renowned researchers with a selected group of graduate students in a highly focused learning environment. In this spirit, the focus will be on the discussion of ideas presented by the student participants, rather than simply on the presentation of papers. Up to 10 students will be invited from the responses to this call. A number of distinguished international scholars from within the ITS community will participate as discussants. The Call for Papers for the Ph.D. Seminar invites submissions on the same topics of research and study as those listed in the Call for Papers for the 2016 ITS Biennial Conference being held in Taipei immediately prior to the Ph.D. Seminar. Other topics in the field of telecommunications are also welcome. Please note that in order to be most effective, the discussion will be based on full (draft) papers. Only in exceptional cases will extended abstracts (min. 8 pages) be accepted for submission. Papers presented at the Seminar will be considered for refereed submission in Telecommunications Policy. The Ph.D. Seminar is being organized locally with the assistance of ITS. Participation is free of charge. Successful participants will receive a certificate from the International Telecommunications Society. Ph.D. students whose paper has been selected for presentation will receive a subsidy of 500€ to cover accommodation and travel expenses. Please send your full paper together with a CV to Erik Bohlin at erik.bohlin@chalmers.se and to Yu-Li Liu at yuliliu2009@gmail.com by the deadline given below. 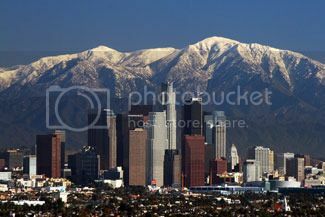 The theme of the Los Angeles Regional ITS Conference is The Intelligent World: Realizing Hopes, Overcoming Challenges. The Conference will be hosted by the Data Sciences and Operations Department of the Marshall School of Business, University of Southern California and will be held October 25-28, 2015. The Conference itself will be held at the Omni Hotel and Resort, Los Angeles. Centrally located in downtown Los Angeles, the Hotel offers guests easy access to cultural venues, shopping, sports and entertainment, and fine dining. In addition, the Hotel is located within two miles of the University of Southern California, where the Gala Dinner will be held. The Hotel provides a shuttle service to and from Los Angeles International Airport (LAX) for the convenience of its guests. Average October temperatures in Los Angeles range from daytime highs of 75 degrees F to evening lows in the mid-50s F, ideal for strolling about or leisurely dining in outdoor cafes and restaurants. Readers are reminded that 8th ITS Ph.D. Seminar will be held in conjunction with the main Conference. Further details on the Ph.D. Seminar are available on the main Conference web site. According to a widely used industry metric, Telecommunications Policy continues to achieve high scores relative to peer journals in terms of its influence on its targeted readership. Each year, Thompson Reuters publishes an annual “impact factor” for thousands of academic and scientific journals in its Journal Citation Reports. The impact factor is one of several bibliometric indicators that attempt to measure the influence of each journal on its target audience. Elsevier defines the two-year impact factor as a measure of “the average number of citations received in a particular year by papers published in the journal during the two preceding years”. A “source item” is defined as a full paper and includes original research articles, reviews, full length proceedings papers, etc. but excludes “non-source items” such as editorials, short meeting abstracts, errata and the like. This notwithstanding, non-source items receiving citations will still be included in the numerator but not the denominator of the calculation. Below is a summary of the two and five-year Thompson Reuters journal impact factors for Telecommunications Policy for the period 2011-2014. Thompson Reuters, in its 2015 Journal Citation Reports, also provided impact factor rankings by journal category for the two previous years. The rankings for Telecommunications Policy in 2013 and 2014 relative to other Elsevier-published journals covering similar subject matter are summarized below. Two very encouraging observations emerge from the above tables. First, the absolute number of citations to articles published in Telecommunications Policy has been rising steadily over the past four years. In fact, citations and references to articles published in the ITS membership journal increased by over 46% between 2011 and 2014. Second, Telecommunications Policy has shown significant, positive improvement in its impact factor rankings over the past two years relative to other journals published by Elsevier in all three subject matter categories applicable to the ITS journal. 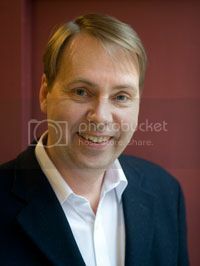 ITS Chair, Dr. Erik Bohlin (Chalmers University of Technology, Sweden), is Editor in Chief of Telecommunications Policy. He is assisted by Associate Editors, Dr. Johannes Bauer (Michigan State University, USA) and Dr. Teodosio Perez Amaral (Complutense University of Madrid, Spain), and Book Reviews Editor, Dr. Jason Whalley (Newcastle Business School, UK). For a complete list of members of the Telecommunications Policy International Editorial Board, please see: http://www.journals.elsevier.com/telecommunications-policy/editorial-board/. Readers are reminded that a complimentary subscription to Telecommunications Policy, which is published 11 times a year, is included in the annual $125 ITS membership fee. Digital-First: ICT players vs. the new disrupters? I am very happy to report that the 26th European Regional ITS Conference and 7th ITS Ph.D. Seminar, which were held at the spectacular World Heritage Site of San Lorenzo de El Escorial, Spain this past June, were both very successful. In that regard, I wish to extend my sincerest thanks to the principal organizers of these two events – Teodosio Pérez Amaral, Covadonga Gijón, José Luis Gómez Barroso, Claudio Feijoo, Fernando Gallardo, Brigitte Preissl and Jason Whalley – for their outstanding efforts in providing participants with such a memorable experience. All those who attended the Conference and Ph.D. Seminar had a wonderful time. The days were filled with great sessions featuring interesting and well-prepared papers, stimulating plenary sessions, and the most enjoyable social events. Who, after all, can forget the entertaining musical soiree and the guided walks? In truth, no effort was spared in ensuring that every last detail was taken care of. The Conference venue was not only visually stunning but resonated with historic ambience. Without question, the many fond memories we have of this Conference and Ph.D. Seminar will remain with us for a very long time. I am also delighted to announce that two new Directors were elected at the June 24 meeting of the ITS Board in Spain: Dr. Martha García-Murillo (USA) and Dr. Petrus Potgieter (South Africa). Each brings to the Board decades of scholarly and professional expertise in ICT and related fields, strong relationships with other professional associations, and highly specialized knowledge, experience and skill sets that will both complement and further strengthen those offered by existing Board members. Brief biographies of our two newest Board members can be found elsewhere in the current (August 2015) issue of Interconnect. Looking ahead, preparations are coming along nicely for the next several ITS Conferences scheduled for the remainder of this year and the first half of 2016. These include Regional Conferences to be held in Los Angeles, California (October 25-28), New Delhi, India (December 13-15) and Accra, Ghana (March 10-11, 2016), as well as our next Biennial Conference in Taipei, Taiwan (June 26-29, 2016), plus the next three ITS Ph.D. Seminars, one each in Los Angeles, New Delhi and Taipei. Articles on each of these upcoming events can also be found in the August 2015 issue of Interconnect. I am also pleased to advise that discussions are progressing with respect to the themes and locations of the next several ITS Conferences to be held in the latter half of 2016 and throughout 2017-2018. I expect to be able to provide further details about these exciting new Conferences later this year or early next year. Finally, I wish to bring to your attention that a brief survey will be disseminated electronically early in September to ITS members who have attended one or more ITS Conferences in the past two or three years. The purpose of the survey is to obtain feedback from active ITS members on the value of the benefits that attend membership in our organization. The results of this survey will be communicated to members in the October 2015 issue of Interconnect together with a report on the status and composition of our membership. I look forward to seeing as many of you as possible at one or more of our upcoming Conferences in 2015 and 2016 and to engaging you in discussions on the issues and subjects of greatest interest and concern to the telecommunications and broader ICT industry. The first-ever Africa Regional ITS Conference will be held March 10-11, 2016 in Accra, Ghana. The principal organizer of this Conference is ITS Board member, Professor Anders Henten (Center for Communication, Media and Information technologies (CMI), Aalborg University, Denmark). 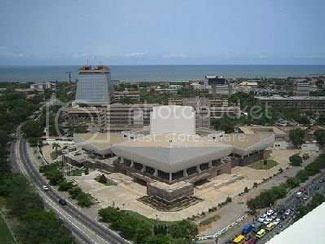 The Conference will be hosted by Ghana Technology University College (GTUC) in cooperation with CMI. The theme of the 1st Africa Regional ITS Conference is ICT Infrastructures, Applications and Policies. Africa has witnessed an impressive development of mobile communications during the past decade. Some African countries have a mobile penetration of more than 100% – illustrating the widespread take-up, as well as the fact that many subscribers have dual or triple subscriptions. Even in countries with a high take-up rate, however, there are large segments of the population and regions where coverage and take-up is low. The Conference will focus on mobile developments in Africa including mobile Internet. Another trend attracting much attention is the development of mobile applications – especially mobile money. This development casts a light on many areas of social interaction where mobile communications could contribute to better service provision, e.g., learning, health, governance, etc. The Conference will pay special attention to such developments and their potential. The Conference will also focus on the use of private applications via social networks and of user-generated content in general. In the policy area, the focus will be on the broader information society and on digital governance policies, as well as more specific regulatory developments whether in telecommunications or broadcasting. The Conference also welcomes papers on convergence between IT, telecommunications, and the media in African countries. This means that papers from the telecommunications field as well as from Information Systems and media researchers will be equally welcome. Individuals interested in presenting a paper at the Conference are reminded that the deadline for abstract submissions is October 15, 2015. All abstracts will be subject to blind peer review by at least two reviewers. Interested participants should also note that awards will be presented for the best paper and the best student paper. The 2nd India Regional Conference of the International Telecommunications Society will be held in New Delhi, India, December 13-15, 2015. The theme of the New Delhi Conference is Connectivity for All: Future Technologies, Markets and Regulation. The Conference is being hosted by IIM Ahmedabad IDEA Telecom Centre of Excellence (IITCOE). Promote promising scholars in the field of telecommunications. Individuals considering attending this Conference are reminded that the weather in New Delhi is typically very pleasant during December. 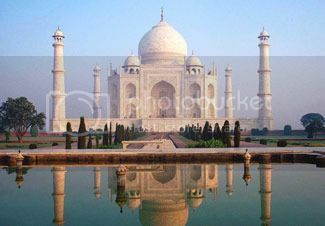 First-time travellers to India are also encouraged to leave time to visit some of India’s best-known attractions including the Taj Mahal, Agra, Jaipur and other similar special destinations during their trip to New Delhi and environs. ITS will convene its 9th Ph.D. Seminar on December 13, 2015 immediately prior to the start of the 2nd India Regional ITS Conference in New Delhi. This one-day event will be held at the same venue as the main Conference. The Ph.D. Seminar is being organized by the Indian Institute of Management Ahmedabad – Idea Telecom Centre of Excellence, India (IITCOE) and the International Telecommunications Society. Successful participants will receive a joint certificate from IITCOE and ITS. An award will also be presented for the best student paper. Further details about the Ph.D. Seminar are available on the main New Delhi Conference web site at http://itsindia2015.com/phdregistration.php. ITS is pleased to announce the election of its two newest Directors: Dr. Martha García-Murillo (USA) and Dr. Petrus Potgieter (South Africa). They were elected at the 2015 meeting of the ITS Board held on June 24 in San Lorenzo de El Escorial, Spain immediately prior to the start of the 2015 European Regional ITS Conference which convened at the same location. 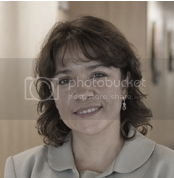 Dr. Martha García-Murillo is a Professor at the School of Information Studies at Syracuse University. She has an M.S. in Economics and a Ph.D. in Political Economy and Public Policy from the University of Southern California. She also holds a B.A. in International Relations from the National Autonomous University of Mexico. Professor García-Murillo has been involved in research and consulting projects for the United Nations/International Telecommunications Union, U.S. State Department, the World Bank and other national, regional and international organizations. She has authored or co-authored several academic books and book chapters, dozens of scholarly articles in refereed journals, numerous scientific publications (including a number of unpublished academic manuscripts) and has presented refereed papers at scores of conferences and workshops – many by invitation only – across five continents. Her research as a political economist focuses on the impact of technology on a country’s economy and institutions. She is also interested in the manner in which laws and regulations affect technological development. In these areas she has explored the impact of information and communication technologies on corruption, informal economies, new businesses and employment and the factors that will lead the transition to IP-based regulation of telecommunications networks. Dr. García-Murillo was one of the co-founders of, and for many years was very active in, ACORN-REDECOM (later re-named CPR LATAM) – a cross-disciplinary academic network of research centers which seeks to advance knowledge on the social, economic and political impact of ICT in the Americas. She was also a member of the TPRC Board for several years and has served as a reviewer for a number of distinguished scientific/academic journals including Telecommunications Policy and Communications & Strategies. Dr. Petrus Potgieter holds the position of Professor of Decision Sciences at the University of South Africa in Pretoria. He has B.Sc. degrees in Mathematics and Physics and (Hons.) Mathematics from the University of Pretoria, an M.A. in Mathematics from Kent State University (U.S.A.), and a Ph.D. in Mathematics from the University of Pretoria. Professor Potgieter brings to the ITS Board 20 years of experience in applied mathematical research, practice and teaching, as well as expertise in computability in analysis and unconventional computation. He has an extensive working knowledge of management science, operations research, finance and several areas of economics. His external consulting work has focused on mathematical finance, financial and economic reporting and estimation, other mathematical modeling and information security. Dr. Potgieter has presented scientific papers at conferences the world over and has authored or co-authored dozens of scholarly articles for publication in refereed journals and other academic works, periodicals and media. 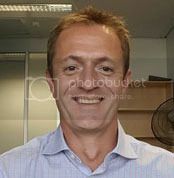 He has been very active in ITS for nearly a decade, both as a frequent presenter at ITS Conferences and as Chair of the International Program Committee for four successive Africa-Asia-Australasia Regional ITS Conferences held in Perth, Australia between 2007 and 2013. Dr. Potgieter has received numerous awards and recognitions for his scientific work, including a National Research Foundation rating as an internationally recognized researcher and a five-year grant for research into unconventional computation, including quantum computation. In 2008, he was elected a member of the SA Akademie vir Wetenskap en Kuns, the Afrikaans Academy for Science and Arts. Professor Potgieter may be reached at php@member.ams.org or potgiph@unisa.ac.za. Using the ITS-L Listserv is easy. Simply compose your message as you would any e-mail, address it to ITS-L@listserv-itsworld.org and press Send. Please note that the ability to send and receive messages over the ITS-L is directly linked to the e-mail address each member has on file with the ITS Secretariat. If your e-mail address changes you must notify the ITS Secretariat of this change if you wish to maintain uninterrupted access to the Listserv. All ITS-L messages should include a personal e-mail address in the text of the message directing readers to where responses and inquiries can be sent. Please do not respond to ITS-L messages by pressing Reply All. This will engage the entire subscriber list in what should be a private communication. Instead, please respond directly to the personal e-mail address of the sender. If in doubt, please contact the Secretariat at secretariat@itsworld.org to inquire where a response to an ITS-L message should be sent. Please do not include attachments with any message sent over the ITS-L. This clutters subscriber inboxes with unnecessary data. Instead, please include links in the text of ITS-L messages to more detailed sources of information that subscribers can access at their leisure. Please keep the content of ITS-L messages brief and to the point. Please do not send the same message more than once. Anyone considered to be abusing the ITS-L may be temporarily or permanently removed from the subscriber list by the ITS Secretariat. Anyone with a question regarding the appropriateness of a prospective Listserv posting is invited to contact the ITS Secretariat at secretariat@itsworld.org for assistance. The ITS-L Listserv was launched in 2003. Since that time, the annual volume of traffic carried over the ITS-L has shown impressive and uninterrupted growth. It has clearly become a preferred means among ITS members of rapidly and broadly disseminating information of potential interest and value to professional colleagues, associates and collaborators around the globe. It goes without saying that ITS is delighted with this outcome and very much encourages continued – and expanded – use of, and reliance upon, the ITS-L by its members.